The Audio Publishers Association announced the winners of it’s 2014 Audie Awards competition on Thursday May 29, 2014 in New York City as part of the annual Audio Publishers Association Conference. 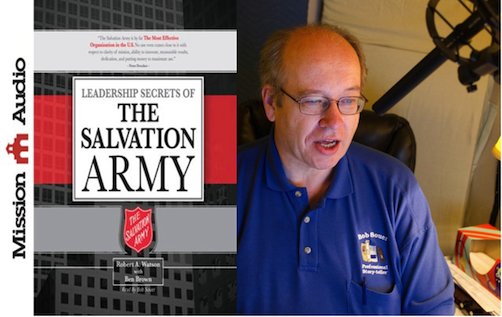 In the Business/Educational category, first time Audie nominee Bob Souer won for his narration work on the Robert Watson authored book Leadership Secrets of the Salvation Army. The book was produced by Christian Audio. 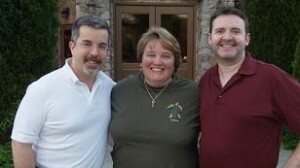 The Audie winning recording was directed by Pam Tierney. The voice-over world is thrilled for our friend Bob! This one night only event is a total fund raiser for one of Pat’s voice-over students, Nicole Nielson, who has been stricken with a horrible and incurable disease. – They’ll also direct some talent through efforts at audio book narration. So I don’t ‘just post links’ too often on this blog because usually I’m too interested in what I have to say about something. But enough about me, what do you think about me. Seriously though, the point of this post is that Voice-Over Talent Karen Commins wrote another blog post that I found helpful and if you haven’t yet subscribed to her blog you should. 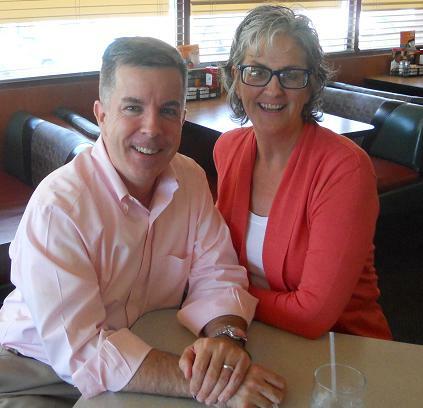 I don’t believe the song “Meet Me in St. Louis” included anything in the lyrics about Denny’s but that’s where I met my first class voice-over talent friend and popular audiobook narrator Donna Postel. And my friend has been very busy with her audiobooks! She just got back from the schmoozing and learning at the AudioBook Publishers Association Conference in NYC. And she’s about to start another book…all in addition to the commercials and other corporate narration work she does. Hopefully she’ll also make it to FaffCon 5! It was great to see her again! 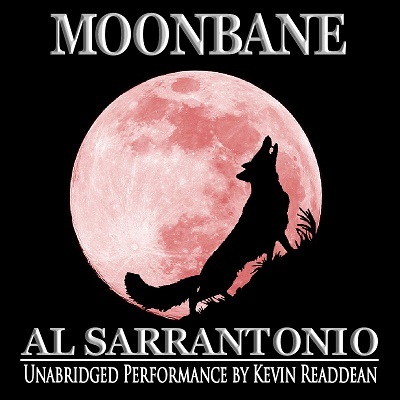 My friend and fellow voice talent Kevin Readdean serves as the narrator of the new audiobook Moonbane by Al Sarrantonio. On his blog (to which I hope you will subscribe if you haven’t already) Kevin is hosting a giveaway of the audiobook he gives voice to. Full details are available here; if you are of the mind to tweet this up, post his giveaway to Facebook, Google+ it or otherwise blog about it…that would be very kind of you on behalf of Kevin. Performance ruts are the bane of any actor: stage, television or voice. Yet left to our own devices (and ultimately ALL of us are) we can mindlessly fall into these ruts… a kind of “sameness” in performance that hurts a script, a vocal tic that we ourselves don’t notice, a subtle elocution mistake…or anyone one of a myriad of other problems that a producer might not be bothered by, a client wouldn’t even notice but is stuff that we as performers are responsible (if only to ourselves) for avoiding or fixing. My short answer is: because it’s your job as a voice over performer. My longer answer is: if that’s you’re attitude about your voice over performances, this post and probably this blog are not for you. Smart performers know that in addition to guts checks and their own eyes/ears, they need omniscient observers. Call them coaches, trainers or whatevers, be it individually or in a group, this resource helps keep performers honest. My life schedule does not always allow for regular voice acting classes but when it does, I have a wonderful place to go. 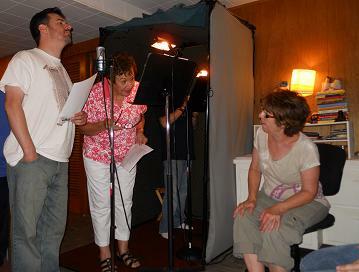 The Western New York Voice Actors Workshop is an amazing resource in our area, similar to the many architectural, geological, artistic, historical and human treasures with have in our area (aside from civic pride, there are facts and history on each of those areas to back up the “treasure” claim). The Workshop exists because of one person but is successful because of many. For me, this is how my journey with the workshop began and how the art of voice acting is reinforced for me. Toni Silveri, who has held her weekly Workshop for many, many years prior to my involvement, hosted a local workshop starring Pat Fraley some years ago. That was the first time I met her (as well as Pat) and it was also about the time she was starting her voice talent agency, All Coast Talent. At the end of the Fraley seminar, she asked if she could sign me to her agency and I did. So what’s the difference and why does it benefit me? I’ll gladly tell you but to what effect I don’t know because learning is a deeply personal and individual activity. How this class impacts me might cause a different reaction for you (not better, not worse, just different). You have to find what works for you. For me, I need the omniscient listener…that’s Toni. Whether I am not delivering on a performance or whether she has a new idea to insert or whether she has just one minor note to give me – it registers. In my head it usually clicks and allows me to both do as she’s asked of me and also make a mental note to hold onto that nugget for another time. Her ability to crystallize her direction for a performer is a gift. By it, Toni is sharing the tools she’s collected over her years of performing and taking stage acting and voice acting classes. As just one example, I find it a bit more credible taking character voice direction from a former Smurf. Yup. Also of great value are the insights I get from the fellow students. There is an important point to make here – while Toni can bring everyone together, (barring some sort of crazy extreme circumstances – holding a class outside when its -40F, etc.) it’s the students that create the learning environment. They/we do it by our professionalism, our abilities, our willingness to learn, our willingness to support each other and (the big x factor) our personalities. Presently, it’s a joyous mix and Toni is the mixologist. I sort of feel at the end of a class like it restores my faith in voice acting. It’s not that I’d lost the faith but rather to be around people who understand such a niche area (ever try and talk about voice acting at a cocktail party – blank stares followed by the ever famous “oh, look at the time!”), who have “been there” (are there) and can speak the (albeit somewhat self-fish, poofy and sometimes a bit odd) language that a voice actor needs to hear to get an evocative performance (whether its a :10 second commercial or an hours long audio book) is very helpful to me. Ultimately, wherever your place in the world, I hope this post incites you to seek out training, to find the individual or group instruction that helps make you a better, stronger performer in your art. Today I have mine and I am grateful for everything it gives me.